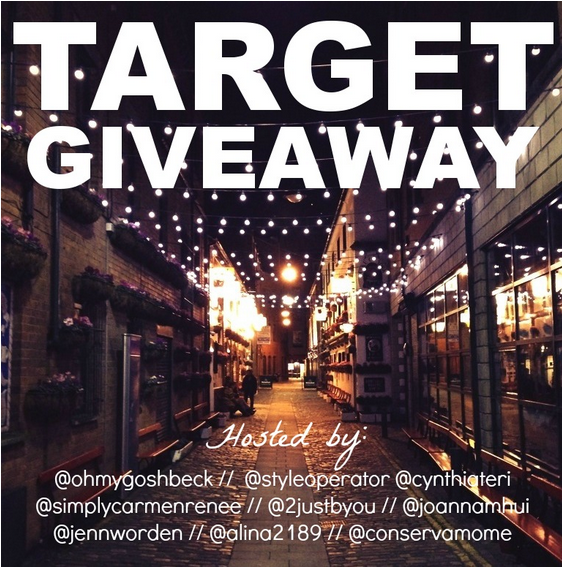 Grace in Style: TARGET GIFT CARD GIVEAWAY!! I am super excited to be co-hosting another amazing giveaway for you all! This one is all about Instagram! You’ll have the chance to win a $150 Target gift card + follow some awesome bloggers on Instagram! Target is my favorite one stop shop for everything from clothing basics, kitchenware, makeup, household necessities, etc. And that makes this giveaway super fun because with Target prices, you can get A LOT with $150! Here are some items I would buy! Be sure to bookmark this page and come back everyday because there will be daily entries available. Good luck! Rules: Use the Rafflecopter form to enter daily. Giveaway ends 11/5 and is open worldwide. Love you all and so encouraged by your continued support!! And make sure to enter my J.CREW $250 GIVEAWAY if you haven't yet! GOOD LUCK!! Target is a great place for one stop shopping! You go in for one thing and a couple of hundred dollars later you have walked out with some items you just simply can't live without. Great post!